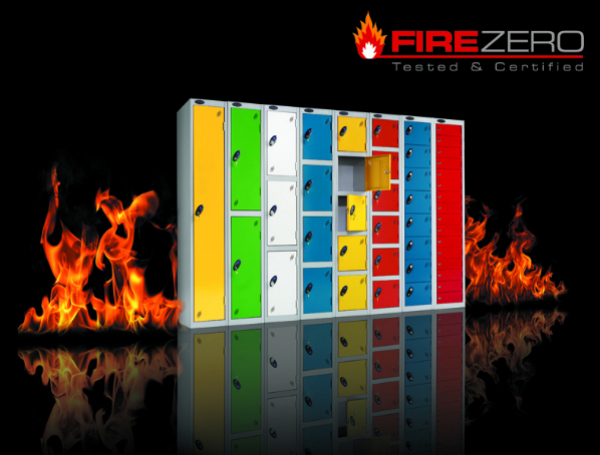 The Probe brand of powder-coated steel lockers has achieved the rare distinction of being tested and approved in line with the European Standard - EN 13501-1: 2007 +A1: 2009 relating to fire performance. Our steel locker products have been tested as 'non-combustible' i.e. they will not combust, increase or sustain any fire within their proximity. Take advantage of this groundbreaking product development and make sure that you are aware that Probe Lockers are the best locker choice for use in educational buildings and public areas.